Bringing together the military mights of the Soviet Union, China, North Korea, South Korea, the United Kingdom and the United Nations States, the Korean War raged for three years from 1950 to 1953. Not only the result of a carving of Korean territories following the Pacific conflicts of the Second World War, it was also a battle of ideologies as General MacArthur's American military forces occupied the southern half and Stalin's Soviet forced supported the northern half. Initiated by infantry movements and air raids, the region gradually became mired in a static trench war by July 1951, and would continue to cost both sides in both morale and human lives. 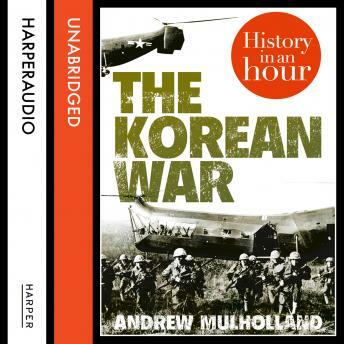 The Korean War: History in an Hour is the concise story to one of the most bitter and enduring conflicts of the post-war era.